Are you thinking about purchasing a pair of hearing aids? Perhaps you are fed up of constantly having to ask people what they are saying more than once. You’re probably wondering where to purchase your hearing aids and what the process entails. There are various options to consider, from an online purchase to an audiologist in Alexandria, VA. But what is the best option when deciding where you should buy hearing aids? At first glance, purchasing online might seem like a brilliant option. After all, it is at the very least convenient, and you can get the hearing aids sent straight to your door. However, there are a few downsides that you need to be aware of. First, there is no guarantee that you will be purchasing your hearing aids from an expert or even a licensed professional. There are plenty of sites online that sell wholesale hearing aids with no knowledge of the product they are actually providing. This means that your customer service options will be limited at best. You may also find that by purchasing online you could be waiting months for your hearing aids to arrive and if you don’t have direct contact with the seller, there will be nothing you can do about it. A lot of people are attracted to the idea of purchasing hearing aids online because of the low prices. But with hearing aids, you often get what you pay for. 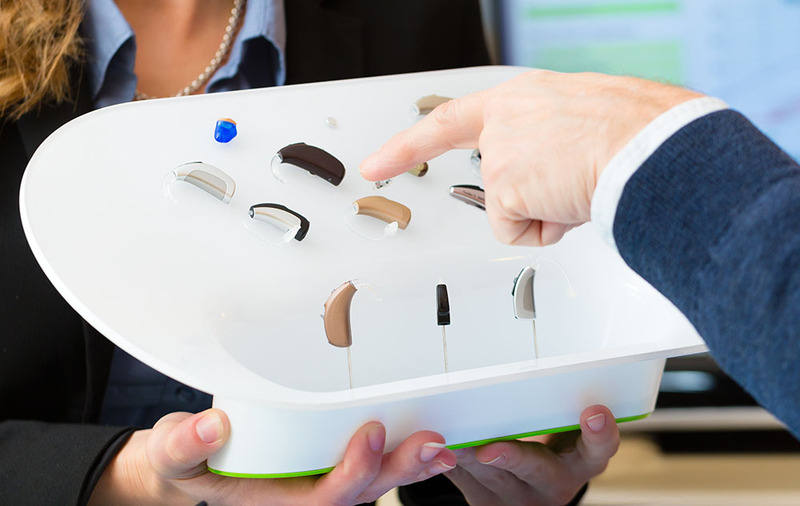 This means that while the hearing aids might seem cheaper, they probably don’t have the latest high tech features that could benefit you and improve your quality of life. But if buying online isn’t the right answer, then what is? If you visit a local audiologist in Alexandria, you will have a number of benefits that you simply can’t gain access to buying them online. For instance, you will be able to complete a hearing test. Here, the audiologist, an expert hearing professional, will test you to make sure that you get the exact hearing aids you need. Another big benefit is that you will be able to choose from a wide range of different hearing aids and get them fitted so that they are completely secure in your ear. Your audiologist will ensure your hearing aids are custom-fit to your ears, both physically and in terms of settings and features. Getting your hearing aids from an audiologist in Alexandria, VA, you can get a personalized service that is unrivaled when compared with online options. Once your hearing aids arrive, you will be able to return to the audiologist, and during a fitting session, you will be able to ask any questions you have about using your device. As you can see then, though buying hearing aids online might seem more convenient, you miss out on a lot of advantages that you can only get by purchasing your hearing aids from a local audiologist in VA.